NEW YORK—The Uzbek immigrant accused of killing eight people by speeding a rental truck down a New York City bike path in October pleaded not guilty on Tuesday to murder and other criminal charges. 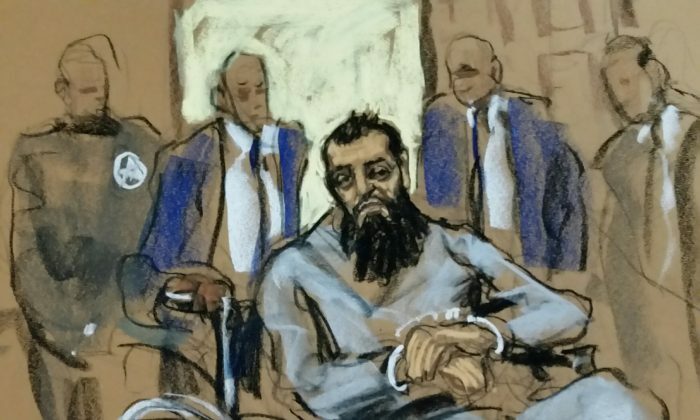 Sayfullo Saipov, 29, entered his plea before U.S. District Judge Vernon Broderick in Manhattan on Nov. 27. A court-appointed lawyer representing him, David Patton, declined to comment on the case after the hearing. 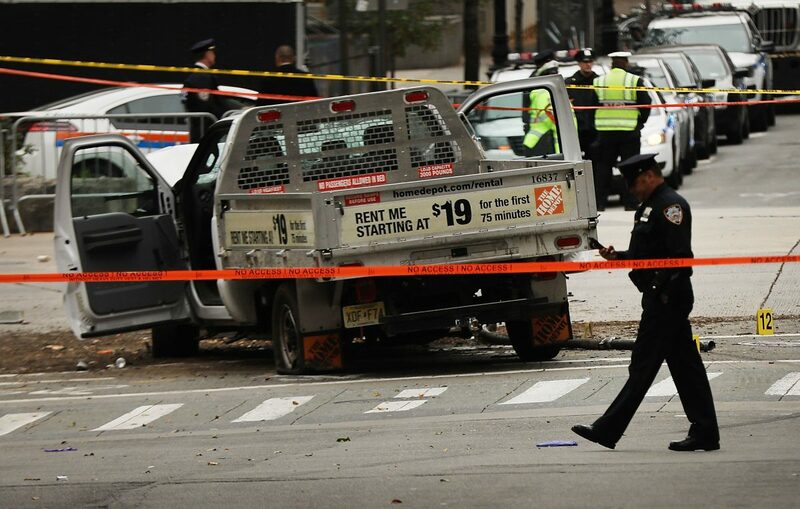 Saipov was arrested immediately after the Oct. 31 attack in which he plowed a truck down a bike lane on Manhattan’s West Side. ISIS claimed responsibility for the attack, which was the deadliest assault on New York City since Sept. 11, 2001. Saipov, a legal permanent U.S. resident, was hospitalized after he was shot by a policeman and arrested. On Nov. 21, Saipov was charged in an indictment with eight counts of murder, 12 counts of attempted murder, one count of providing material support to ISIS and one count of violence and destruction of a motor vehicle resulting in death. The most serious charges against Saipov carry the death penalty, though it is not yet clear whether prosecutors will seek it. President Donald Trump repeatedly called on Twitter for Saipov to face the death penalty. The complaint said Saipov was particularly motivated by a video where Abu Bakr al-Baghdadi — the leader of ISIS — exhorted Muslims in the U.S. and elsewhere to support the group’s cause. Saipov also said “he felt good about what he had done” and asked for permission to display the flag of the militant group ISIS in his hospital room, the complaint said. An Uzbek acquaintance of Saipov living in Ohio, Mirrakhmat Muminov, told Reuters that Saipov became religious after moving to the United States in 2010. The next hearing in Saipov’s case is set for Jan. 23.